Joe Biden’s political reputation in the United States involves being tough. He plays up a public persona often associated with urban, working class Irish-Americans who are heavily represented among the country’s police officers and firefighters. However, in his recent trip to Turkey, supposedly conducted to strengthen the fight against ISIS, Joe Biden’s actual behavior was completely contrary to his constructed public image. Joe Biden “discussed” Syria with the Turkish government, and said that a “military solution” to defeat ISIS was on the table. He politely urged the Syrian government and the crazed violent extremists funded by Saudi Arabia to overthrow them to come to an agreement. However, he failed to take any action to halt, or even call out the Turkish government’s blatant support for ISIS. As Joe Biden was in Turkey speaking in polite diplomatic terms, the very government that was hosting him has refused to close the Syrian border. ISIS oil is flowing across the Turkish border, and being sold on the international markets. Meanwhile, weapons are flowing across the Turkish-Syrian border, into the hands of ISIS terrorists. If the Turkish government were to actually begin cooperating, shut its border with Syria, and make an effort to close down the ISIS-linked smuggling networks utilizing it, the defeat of these terrorists would not be too far away. 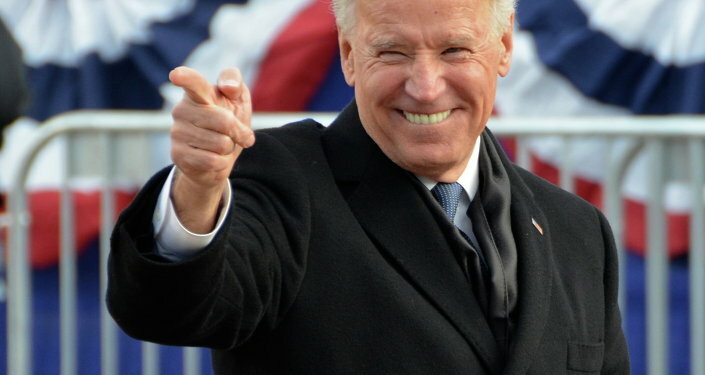 If Joe Biden were really the tough, “to the point” character he plays at, and he really wanted to defeat ISIS, he would have barked “close the goddamn border” at Erdogan in the first moments of their meetings. But Biden did nothing of the kind. Indeed, the Turkish government is not only allowing ISIS to utilize its borders for fundraising and weapons shipments, but Turkey is increasingly becoming hostile to a country that is scoring real victories against them. As Russia is aiding the Syrian government in defeating the ISIS menace, Turkey’s anti-Russian rhetoric and provocations continue. Biden could also have said “Hey, Tayip or whatever your name is, why are you fighting the Kurds in Syria? I thought ISIS was the number one enemy here?” Indeed, Turkey’s military intervention in Syria has been focused, not on fighting ISIS, but on fighting the Kurdish Nationalists. With Geneva negotiations set to start up on Monday, it should be very obvious that Joe Biden’s journey to Turkey was not about defeating ISIS. Biden was most likely very pleased with Erdogan, and privately congratulating him on his recent actions, though they have been detrimental to world peace. The goal of US policy in Syria, contrary to all rational human reason, is not to defeat the ISIS terrorists, but to topple the recognized, legitimate Syrian government. Joe Biden’s most friendly encounter with a leader who is enabling and strengthening ISIS, while intensifying hostility toward those scoring real defeats against ISIS, should be further proof of this. As the negotiations in Geneva proceed, the leaders of NATO are talking about increasing their support for the foreign backed insurgency against the Syrian government, from which ISIS emerged. Weapons from Jordan also continue to flow into Syria. If western leaders had not continued to fund and arm anti-government fighters and foment chaos, Syria would still be a peaceful country. The war would have been over within a week, if the US and its Gulf-State allies had not be pouring money, weapons, and foreign fighters into Syria. Now, 250,000 people are dead, because western leaders are dedicated to “regime change” no matter how many innocent lives it costs. If Iraq’s government had not been violently toppled, it would also be in a much better situation. ISIS has emerged out of the chaos deliberately created by western leaders in Syria and Iraq. Now they are hoping to use ISIS as an excuse to create more. The Syrian Arab Republic, the legitimate government which still controls the territory where 80% of the people live, has the right to call for foreign assistance in its fight against terrorism. But western leaders, who created this mess, need to stay out of Syria. They need to step back and let the patriotic Syrians and their trusted allies get the job done.